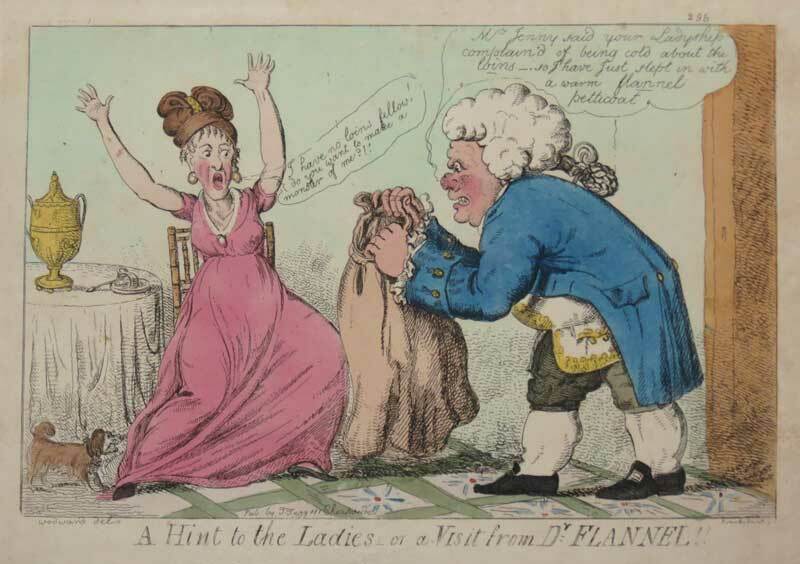 A horrified lady is approached by a menacing doctor with carbuncular nose and lascivious grin who suggests he has the solution for her ladyship's chill around the loins. As he descends upon her with an enormous and ungainly sack petticoat he says "Mrs. Jenny said your Ladyship complain'd of being cold about the loins – so I have just stept in with a warm flannel petticoat" Her ladyship is far from convinced, throws her arms up in disgust and complains "I have no loins fellow! Do you want to make a monster of me?!"